You are currently browsing the category archive for the ‘recent viewings.’ category. Recent Viewings – Sidewalk Edition. 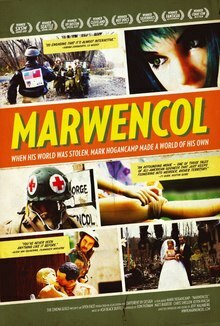 “After a vicious attacks leaves him brain-damaged and broke, Mark Hogancamp seeks recovery in ‘Marwencol’, a 1/6th scale World War II-era town he creates in his backyard.” I’d seen a shorter version of this film in an episode of the This American Life tv show. It was a very interesting story, so when I saw they were showing the full documentary at Sidewalk, I knew I wanted to see it. And I’m really glad I did. There was a lot more to the story than the short television program could show, and there was a clever ending like you don’t always get from documentaries. Definitely worth seeing if you ever get the chance. To be honest, this was easily my least favorite movie of the weekend. And not because I didn’t like it, but it just wasn’t anything super special. It’s basically about one town that always inhabits 1000 people, but in this town is all the major American landmarks; the Grand Canyon, Mount Rushmore, Niagara Falls, the Statue of Liberty, etc. The coolest thing about it was that the filmmakers actually traveled around the country to shoot scenes in the various locations, rather than use a green screen. For the most part, it just seemed like a really long SNL digital short. It was super silly, and not really very professionally done. I kept thinking to myself that it reminded me of the movie I made in college. With no budget. And a miniDV camera. It was still pretty clever and had some really funny parts, but it wasn’t anything worth seeking out, which you’d definitely have to do to see it. Although not as professionally shot, and without a real “ending” like Marwencol, this documentary still held it’s ground. It’s about a group parking lot attendants at a corner lot in Charlottesville, VA. And it’s hilarious. All the guys working there are way too smart for their own good, have way too much downtime while working the lot, and don’t like their rich (usually fraternity/sorority-types) customers. And the boss likes it that way. His motto is that his employees come first. This movie really is super hard to explain, but just know that it’s really, really funny, and super entertaining. 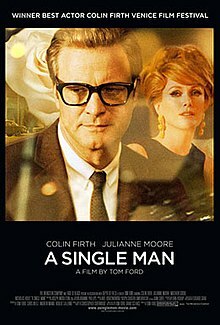 I felt like I really connected with a lot of what the guys dealt with, having worked valet for about a year, so I think I might have liked this movie more than some, but I really think pretty much anyone (who’s not rich and a jerk) would like it. It really gets to the root of how people treat other people and how people who work “service” jobs are treated at times by people who feel they are entitled to certain things simply because of their family, wealth, etc. See it if you can. There has been a lot of chatter around the internet about this movie for a few months now, so when Sheena and I saw it was playing, we knew we had to give it a shot. I’m not a big horror movie fan, and I really don’t like blood and guys-type stuff, so I expected not to really like it, but it wasn’t all that bad. It was actually quite funny at the beginning because the acting was just so over-the-top and silly. The gross parts were gross, but there weren’t really all that many of them. Of course, the premise is disgusting, and if you don’t know what it is, I’ll just let you do your own research. All-in-all I’d say I was more pleasantly surprised than disappointed, although I don’t care to ever see it again. This is not for your normal person, but if you have a sick sense of humor, or like movies of this kind of genre, it’s actually pretty decent. I thought The Human Centipede would be the most shocking film I saw this weekend. Daniel & Ana proved me wrong. I’m just gonna kinda tip toe around this one. It’s about a brother and sister in a wealthy family who get kidnapped for a few hours, and then released. Most of the movie is what they have to deal with after the kidnapping, because of what happened during the kidnapping. The man introducing the movie said a number of times that if there was anyone in the room under 18, that they should leave, and he was right. 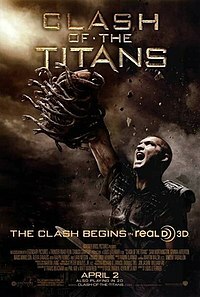 The craziest thing is that this movie is based on a real event, and supposedly happened just as is portrayed. Terrible. I really wouldn’t recommend this to most people. Or maybe anyone. And that’s kind of weird because it was an excellent movie, but really, really hard to watch. Watch at your own risk, you will be uncomfortable. I think it’s safe to say that this was my favorite movie of the weekend, and, luckily, one that more people may get to see. The whole movie takes place in one night and starts out with a fraternity initiation. Things go wrong and the whole night spins out of control. This movie is intense. Really intense. It keeps you on the edge of your seat the whole time. Sheena was literally holding her head with both hands and kept saying that she thought her heart was going to pop out of her chest. It’s not a perfect film, but it’s a good one and very well made. And it’s got a great cast of unknowns (at least to me, other than the main character, Trevor Morgan, who I recognized from The Patriot and Mean Creek) who do an awesome job. This is definitely worth checking out if you like the type of movie that keeps your blood going and makes you mad, in a good way. p.s We also got to meet the director of Brotherhood, who was a Texan like Sheena, so they had some weird state pride bond or something. Haha. Anyway, he was super friendly and just a really nice guy. And he looked kinda like Sawyer from Lost. This movie was way better than I expected. It was actually quite funny, and quite action-packed as well. Finally Will Ferrell is back with a funny character. He was a bit off for a couple of years there. And I don’t know what it is, but I love Mark Wahlberg. I thought this would end up being a dud, but I was pleasantly surprised, and look forward to seeing it again. Definitely check it out. Ridiculously awesome. With an emphasis on ridiculous. Excellent. We rented this Friday night with the MZLs. All I knew about it beforehand was that it was written and directed by Ricky Gervais and Steven Merchant, and that Ralph Feinnes was involved. Naturally, I thought it would be a comedy. Although there are lots of funny parts, it’s definitely not at all what I expected. And I loved it. Just to give you a quick and easy synopsis, it’s about three friends who grew up in a small town in Britain, and who want desperately to get out, but just don’t know how. It’s got all the makings of a great story and definitely worth checking out. Also, the music is awesome. Haha, I just noticed that poster is foreign. Oh well. I’d been wanting to see this movie for a while (came out in 1998), but hadn’t gotten around to it. The cast is amazing, so I figured it had to at least be decent. And it was. It was very reminiscent of Bottle Rocket, although not near as good (of course!). It’s about two guys who get mistaken for the best safe crackers in the business, and their lives are threatened if they don’t crack some safes for a mob guy. It’s got some really funny parts, and the plot is clever. The only place it was really lacking was the end. As Sheena put it, it was very anticlimactic. It’s just sort of over. All is well. The end. It’s a movie worth watching, though. This is a documentary about street art. Kinda. It starts out that way, and takes a pretty big turn about halfway through. And it’s mesmerizing. It’s so cool to see these guys at work, but it’s also kind of a bad guy story with a really interesting plot. It’s kind of hard to explain, but if you like documentaries, or if you like street art, or if you just like good movies, you should watch it. Yeah, yeah. 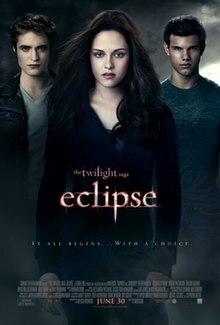 It’s been a few weeks since we watched New Moon, but I never did a review for it, and Sheena wanted to see Eclipse at the dollar theater this weekend, so I figured I’d just throw them together. These movies aren’t necessarily good, but they aren’t bad. They’re entertainment, and I don’t feel like they’re a complete waste of my time like I do about some movies. That’s pretty much all I have to say. 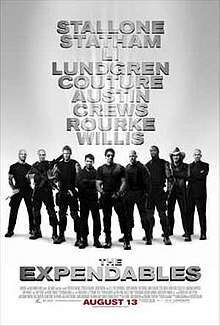 Terrible dialogue, less than stellar acting, decent plot, awesome action/fight scenes. That pretty much sums up the whole movie. It’s exactly what you expect it to be, although I’ll admit that the plot was quite a bit better than I was anticipating. And the fight scenes were seriously awesome. Worth checking out. This was the definite dud of the bunch. It was just plain dumb. All of the jokes seemed super forced, and they seemed like they were written by a 12 year old. And not in the Adam Sandler good way. Like, a 12 year old trying to make his other 12 year old friends laugh. And trying really hard. I did laugh a few times, so I can’t give it an F, but it’s a very solid D.
The redeemer of the weekend. Everything about this movie was great. I really don’t even know what to say. The acting was superb. The story was superb. The colors were superb. The music was superb. The ending was superb. And on and on. I really had no preconceived ideas about this movie, so I went into it pretty optimistic. It wasn’t a perfect movie, but it was a fun one. 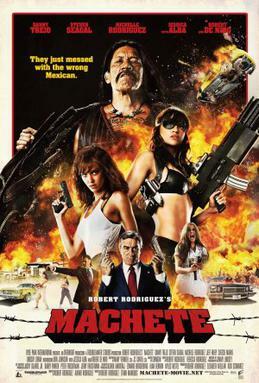 The plot was good, and kept you guessing, and the action was good, although very over-the-top. I think that’s my only real problem with the movie. 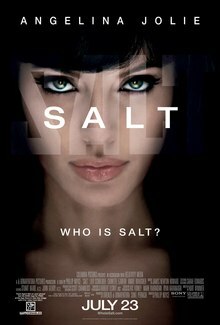 Salt is supposed to be a real person, but some of the stunts she pulls off make her look more like a superhero. If they would’ve simplified the things she was capable of doing, I would’ve liked this movie a lot more. I did like all the twists and turns. They definitely left it open for a sequel, which I’m not sure we need, but it worked for the Bourne trilogy (far superior movies), so I guess they think it can work for them, too. Definitely worth checking out, even if it wasn’t as realistic as I would have liked. First of all, it’s not like I went into the movie thinking it was going to be amazing, so that helped. I guess the most positive thing about the movie is the cast. I thought all the new guys did great jobs at playing these old characters. The plot was actually pretty decent, too. I liked that it showed how they met and everything, instead of just assuming you knew their story. All that being said, the movie was fine, just nothing really special. I think if they would’ve cut the stunts and explosions down a bit, I would’ve enjoyed it more. There was just so much going on that isn’t physically possible, that it just kind of took me out of the movie. When stuff like that happens in super-hero movies, it’s easier to forgive because super-heros aren’t real. These are supposed to be real guys, but they’re doing some pretty super-hero-y type stuff here. All-in-all, it was fun to watch, but won’t be on any end of the year lists or anything. This review will be a bit hard because I don’t want to give anything away, and even if I do talk about parts in the movie, it probably won’t make sense unless you’ve seen it. So, I’ll just keep it simple: this movie is awesome. In a film world where every movie is a sequel or looks like something you’ve seen before, this is a truly original story. And a great one. And on top of an amazing story you’ve got great acting, great characters, great special effects. It’s the whole package. And it’s thought-provoking. More than anything I’ve seen in a long, long time. Christopher Nolan has always been one of my all-time favorite writter/directors (see Directors I Love from February of 2008), and this film just solidifies his legitness. I think I just made that word up, but it’s a good one for Nolan, so I’ll keep it. Feel free to use it. Without giving anything away, the ending of this movie is amazing, too. Best ending to a movie I’ve seen in quite a while. It just works. We were in a theater that was completely full, and in the last minute or two of the movie there was complete silence, and you could just feel the tension and anticipation in the air. Frankly, it was just weird. And completely awesome. So, if you can’t tell, I recommend this one. If it doesn’t top my best of 2010 list, I’ll be completely surprised, and whatever does will most likely literally make my head explode. Greenberg is the newest movie from writer/director Noah Baumbach, who brought us such gems as The Squid and the Whale, and Margot at the Wedding. And Greenberg fits right in with the list. It’s quirky and slow and funny at times and sad at times. Like his other movies, it’s about real life, but seems to be over-the-top, but deep down you can kind of imagine that some people really live that way. The Squid and the Whale is still my favorite of the three, but I think this is a movie worth seeing if you like the type. Noah does a lot of collaborating with Wes Anderson (one of my favorites) and that comes across at times in his movies. 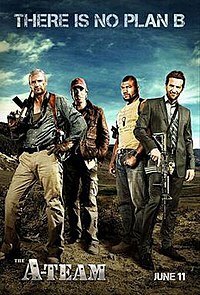 This has some pretty rough scenes, and, like I said, is kinda slow, but it was a good movie and is worth giving a shot. 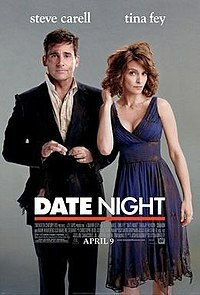 Steve Carell and Tina Fey make an awesome married couple. I figured this movie would be pretty funny, but I had no idea it’d be so action-packed and intense. It was pretty much the best of both worlds. There were some seriously laugh-out-loud moments, and some moments where you’re on the edge of your seat, wondering what will happen next. It’s just a good movie. Plain and simple. I think pretty much anyone would enjoy it. There are a few “adult” situations that they maybe could’ve tweaked to make it a bit more family friendly, but Sheena and I had a blast watching this, and I wouldn’t mind seeing it again soon. We went to see this with Nick and Leslie Saturday night at the Dollar Theater. First off, dang the dollar theater has gotten popular on Saturday nights. Second, I wasn’t really expecting to like this movie at all, but it was the best choice, so we checked it out. And I’m so glad we did. 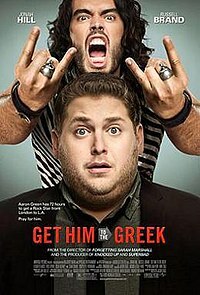 I laughed more in this movie than I have in a movie in a long time. Yes, it’s crude, but man it’s funny. I’m sure the company I was in helped the experience, but I’m pretty sure we were all laughing pretty much non-stop throughout. I loved Forgetting Sarah Marshall (this is kind of an unofficial sequel), and thought it was hilarious, and this definitely doesn’t disappoint the franchise. It might even be funnier. 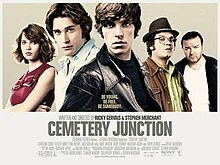 If you can get past some of the themes and situations, the actual comedy of this movie is fantastic. I’ve never been a Jonah Hill fan, and he’s pretty much playing the same character he always plays, but this time it just works and he’s so funny. If you like this sort of stuff, see it. You won’t be disappointed. Recent Viewings – International Flight Edition. First off, just know that I watched all these movies on a plane, so there are parts of them that I might have missed from being asked what I wanted to drink or dozing off for a minute. 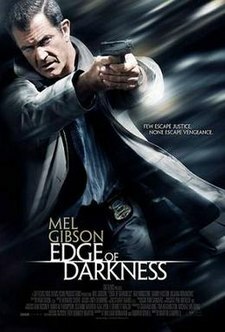 I watched Edge of Darkness first, though, and am pretty sure I remember all of it. And that’s a good thing, because it’s a good movie. It’s not perfect by any means, but it keeps you on the edge of your seat. And regardless of what you think about Mel Gibson as a person (you probably don’t like him), he’s super awesome in these kinds of roles. 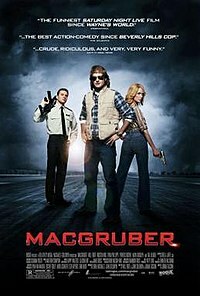 I just found out that this movie is based on a mini-series from the 80’s, which makes sense now because the movie is pretty convoluted and seems to have way too many characters, but if you can just kind of take some things with a grain of salt, it’s definitely worth checking out. After Edge of Darkness, there really wasn’t anything to choose from that I wanted to see, so I went with a cartoon, because they’re usually at least decent. This was better than decent. It was a good. The characters are funny and the plot is interesting. It’s got vikings and dragons and who doesn’t love that? Again, not a perfect movie, but I think pretty much anyone would like this one. Now we get to the third movie of the flight. I didn’t watch these three right in a row. I threw in a few episodes of Curb, The Office and 30 Rock, just fyi. By the time I got to this one, I was pretty wiped out. I dozed off a few times and missed a few key moments, I think, but I’m pretty sure I saw enough to know that I don’t care to ever re-watch it. The acting was silly and the plot was just kinda weird. And from what I remember, it was just boring. Again, I’m not the best judge of this one because I was really tired, but I don’t think it’d be worth your time. 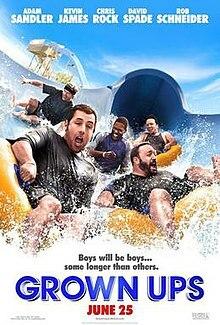 Lets be honest, this movie isn’t going to win any Oscars, and if you don’t know that going in, you probably shouldn’t be seeing it in the first place… that being said, this movie was surprisingly funny. There were quite a few moments where they took things too far, and I could’ve done without most of that (though still quite funny), and there were some periods where it seemed to go too long without a solid laugh, but I have to say that all of us (me, Sheena, Amy and Brian) laughed out loud pretty steadily throughout the movie. 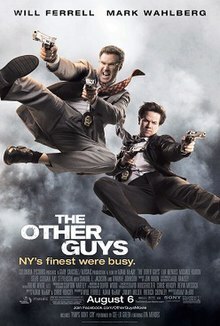 I left the theater thinking it was better than I expected, but not great, and I’m sticking with that, but I have a feeling this might be one of those movies that gets funnier the more you watch it, so I will be seeing it again at some point. It also helps make the movie funnier when, about 15 minutes after it starts, a 110 year old woman walks in and sits on your row. She must’ve thought it was a MacGyver movie or something… but just thinking about what she must be thinking about most of the stuff going on made it twice as funny.